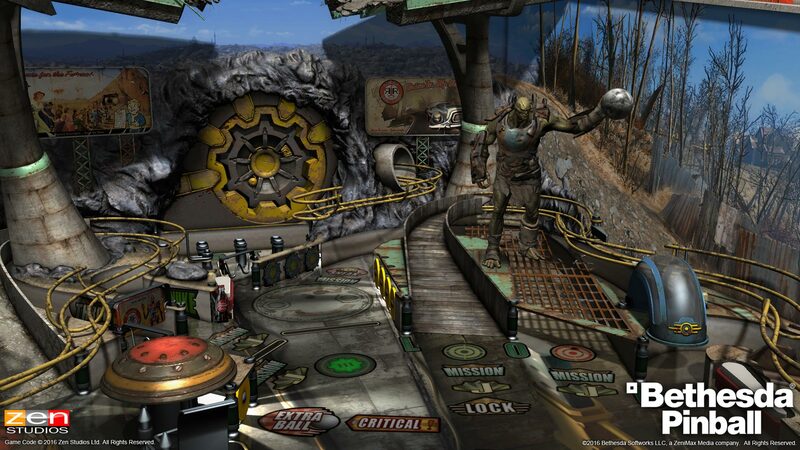 Bethesda Pinball, probably the set of tables I’ve been most excited to play, is now available on Google Play from its makers at Zen Studios. Inside the app, players will find tables based on Fallout 4, DOOM, and Skyrim. Upon first opening, players will be asked to select just one of the tables to play on. Provided I love me some Fallout, I opted for that one. To start, you only get a single free play (100 coins), and to play as a single player any further, you have to earn more coins. To earn more coins, you have to dive into head-to-head action, called Multiplayer Matchup. As you continue to play and increase your skills, you can unlock improvements and upgrades for your tables. It’s actually quite the process and much more than a basic pinball game. While I’m not huge on having a coin system for the game, it does make it free to download and play, so long as you have time to earn more coins. If you’re interested, a Google Play link is below.